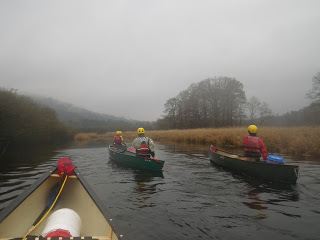 The course so far has had some wonderful paddling days. 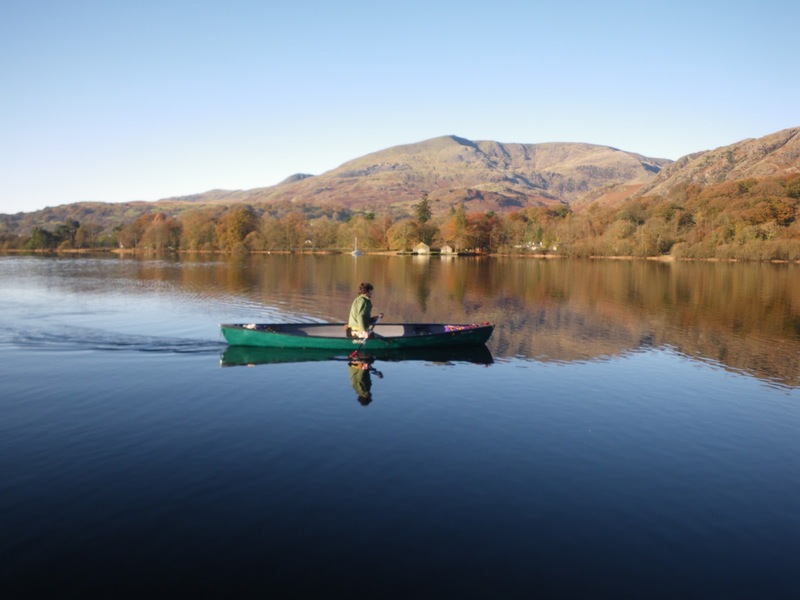 With some amazing weather this Autumn, following the rain and winds that shrugged the leaves off the trees and filled the lakes and rivers up we have been enjoying a very mild and pleasant late October and Autumn so far. 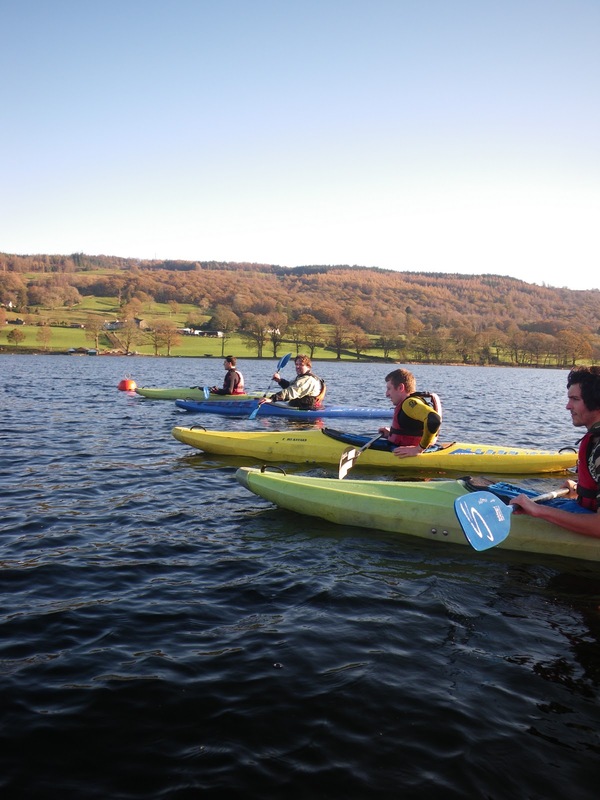 Paddling on Coniston Water in both Open Canoes and Kayaks, the Students this year have now gained their BCU 2 star qualification, and can look forward to some river paddling. 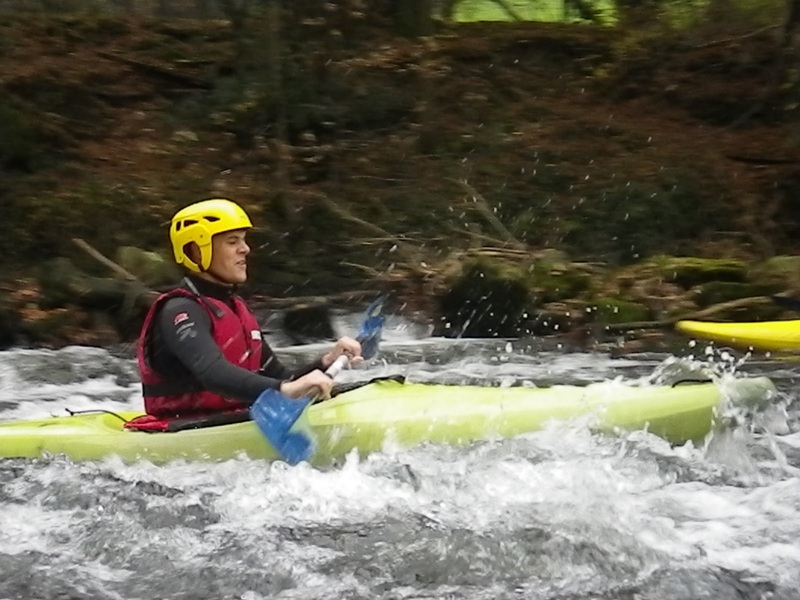 The first day on a river, a bit splashy judging by the expression, everyone fell in at some point too. It was nice to be back on the Lake and the right way up.